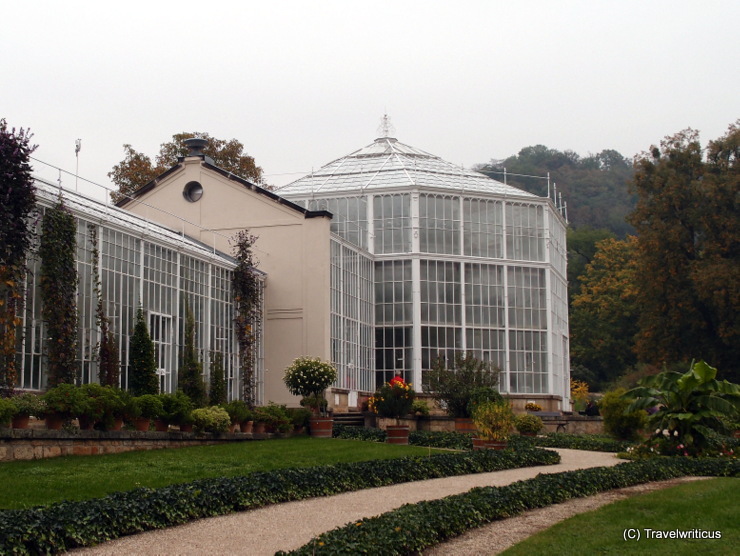 The palm house on the grounds of Pillnitz Palace (Schloss Pillnitz) was opened in 1861 and is considered as one of the oldest still existing constructions of cast steel and glass in Europe. 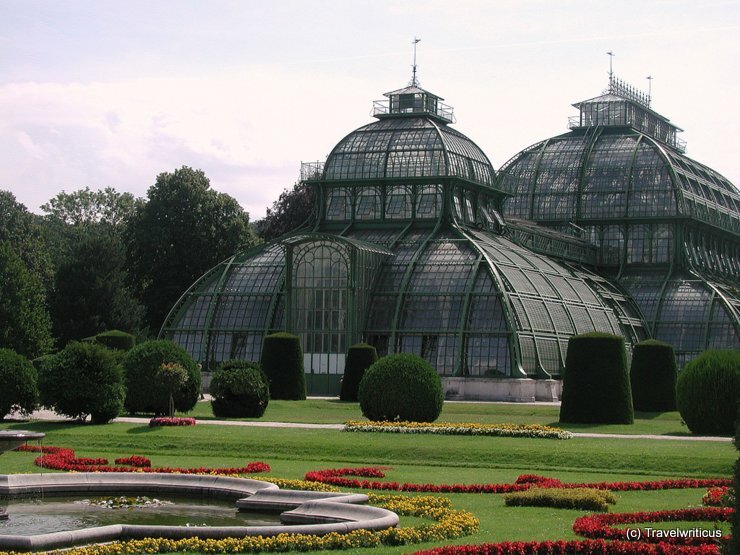 This Palmenhaus is the most prominent greenhouse on the grounds of Schönbrunn Palace (Schloss Schönbrunn) in Vienna. The building made of steel and 45,000 glass tiles was opened in 1882.